It's Bootcamp time on 'X Factor USA' next week, the 3rd level of the show after Producers' Auditions (off cam) & the Judges' Auditions. Guess what? ABS-CBN will air this show, though they bought the franchise rights of 'The Voice' which will air next year. This show has 10-12 Million viewers since the openinh telecast last week but 'American Idol 10' still the No. 1 show in the US for 2011 with 22-29M viewers. 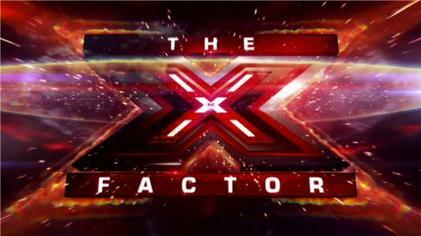 The 1st episode of 'X Factor' had 12M viewers, 7.2% Ratings, 12% Share, 4.4/12 from ages 18-49. Not so good results for a much-awaited show but still (super) higher than the 1st season of 'American Idol'. Both shows air on FOX. On October 12, Judges' Houses are going to start. The Judges are also the Mentors. Each judge will pick Top 6 from his/her group (Total: 24) and thet will reveal it on Oct. 25. The Live Shows will start on Nov. 2 and the season finale will be on Dec. 21 & 22. Expect Rihanna, Winning Judge & more. Join Simon, LA, Nicole, Paula and Presentor (UK Term) Steve Jones in the coming months on the 'X Factor'. Share it freely, but must be link back to this source. While trying to get in good with the new roommate, Winston, Jess got a little over-excited with a basketball and broke the big-screen TV on ‘New Girl’ (Tue., 9PM ET on FOX). This was the perfect opportunity for her to face her demons and confront her ex-boyfriend for cheating on her, and get her stuff back from him — specifically, for the guys, her own big-screen TV. After her first meeting didn’t go so well — he really does use his charm and hair to take advantage of her — the guys go with her for the second try. And of all things, it’s the sight of the plants dying that gives her the courage to say what she’s been needing to say all along. Unfortunately, she finally has it out with him while her hands are full of clothes and the television, and in her excitement and newfound power of confrontation, she drops it all. Luckily, the TV still works, but how about the slightly retooled ‘New Girl’? All this time, we thought we knew Sabrina on ‘Raising Hope’ (Tue., 9:30PM ET on FOX). She was a cashier down at the grocery store, so while she seemed more educated and refined than Jimmy, we just chalked it up to a better home experience. We had no idea, and neither did the Chance family. While working, Burt stumbled upon her family secret. Sabrina comes from money. And not just comfortable living; her father is worth $20 million, as he was more than proud to say. She apparently shuns him and his excess, not wanting to have money handed to her and instead preferring to earn it. This makes no sense to the Chance family, and even less sense when they discover the symbol of luxury in her father’s house: a $2,000 toilet. The battle of the ages continued in the second week of ‘The Biggest Loser’ (Tue., 8PM ET on NBC), but for the black team, it was a battle brewing from within. Maybe John got started with the alliances and gameplay a little early, but no matter what he was trying to accomplish, he got called out hard for calling Sunny dumb. To her credit, the schoolteacher took Bob’s advice right away and called a team meeting after their workout to confront John about this so-called alliance and his hurtful words. The black team has been on a tear in this early part of the season, coming in first in every challenge and the first weigh-in. They don’t need emotional baggage tearing them apart. After performing their Quickstep on Monday, judge Len Goodman didn’t think the dance was great, but it was better than last week. As did Carrie Ann Inaba, who felt Canalis came back nicely after her first time out on the floor. Watch the performance! “For me, it was a gift every day staying here, really. It was a great adventure,” Canalis said, offering her thanks to those who voted for the duo. “Dancing with the Stars” returns for Week 3 on Monday! Andy Rooney, the 92-year-old essayist who has appeared on CBS’s “60 Minutes” for more than 30 years, will end his run as a regular commentator on the popular TV news magazine this Sunday, producers said. Read full story at Reuters. Here are other hot topics for September 27! Late night funnyman Jimmy Kimmel uncovered a secret passion of Bush frontman Gavin Rossdale, citing this “clip from ‘Extra’” in which Rossdale reveals his longtime infatuation with game shows. Hah! Find out more about Gavin’s project and his “biggest dream come true.” Watch! As Suburgatory’s Dallas, Cheryl Hines is a big-haired, energy drink-chugging, slang-slinging suburban mom straight out of Bravo’s Real Housewives. She just wants the best for her daughter, Dalia, and so she buys her too-short shorts and even tighter tops, all of which stuns city girl Tessa, their new neighbor who, with her single dad, George, just moved into town from Manhattan. It’s through Tessa’s horrified eyes — and uber snarky narration — that viewers are introduced to a version of suburbia ripe for the mocking, where pastel sweatsuits and frozen lattes are still the uniform and meal of choice for moms and every girl in high school is recovering from a nose job. Dancing with the Stars bounces its second couple of the season. Did the lowest-scoring couple leave for the second straight week, or did someone else get the boot? Plus: We get an actual bottom two for once! Talking to Idris Elba can be disorienting. No matter how often he references his acclaimed roles as Baltimore drug lord Stringer Bell on The Wire (“That part spoiled me and catapulted me onto the radar,” he says) or Dunder Mifflin big boss Charles Miner on The Office (“I can’t believe I got paid to have so much fun”), it doesn’t jibe with the East London inflection coming out of his mouth. Can this be the same actor?